52 years is a long time to be without her brilliance. When Zora Neale Hurston died in 1960, she left an undeniable mark. Yes, Hurston died destitute in Fort Pierce, Florida; but in 2012 I celebrate the writing extraordinaire, who’s most famous for Their Eyes Were Watching God, which was adapted into a film starring Halle Berry and Michael Ealy. In honor of Women’s History Month, I crown Zora Neale Hurston a shero. Confused? Here are a few reasons why Hurston is more-than-worthy of this honor. Even in this picture-perfect world, Hurston’s mother’s death when she was 13 was devastating to her. She was then sent to care for her brother’s children rather than finishing her education. Hurston would then serve as a house domestic for most of her teenage years. These difficult circumstances couldn’t keep Hurston from the greatness that awaited her. Our Grio: African Americans have had numerous writers including Alice Walker, Langston Hughes, and Toni Morrison capture elements of our culture and bring that to the world. Zora Neale Hurston must be included in this elite list of extraordinary writers and storytellers. Her works including Their Eyes and Watching God, Jonah’s Gourd Vine, and Moses, Man of the Mountain tell the stories of African Americans on several levels and captures the determination of our spirit. Even now, Zora Neale Hurston serves as our personal grio as her work continues to be read around the world. 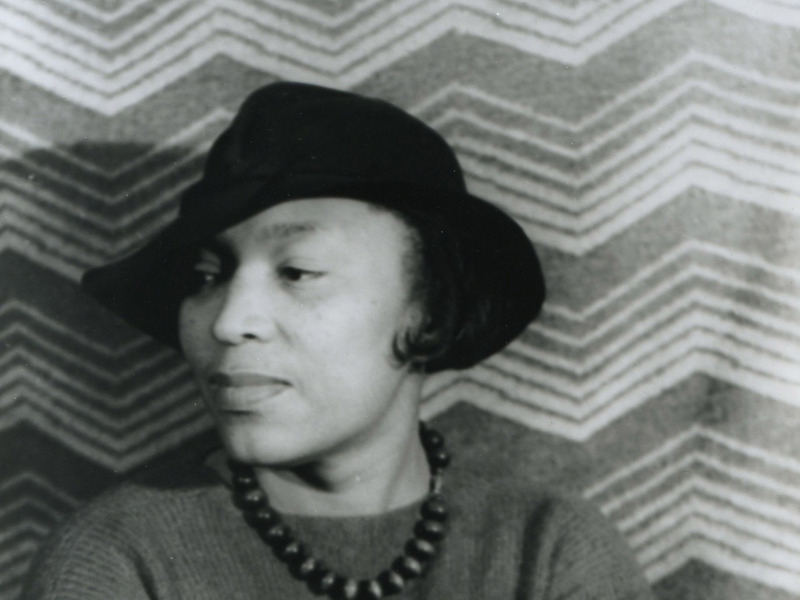 Fashion Maven: Pearl necklaces, chic Peter Pan hats, belted shirts, ruffled button-ups under sophisticated vests; Zora Neale Hurston was one fashionable Harlem Renaissance woman. Much of her wardrobe staples (as evidenced in photos) seem to appear on the heads and ears of some of the chicest women of our generation including First Lady Michelle Obama. Plus, in almost all of her photos, Hurston appears to be smiling – the greatest accessory of all. Destination Education: Despite her work as a domestic, Zora Neale Hurston was determined to attain a higher education. While earning an Associates’ Degree from Howard University, Hurston co-founded their esteemed newspaper The Hilltop and pledged Zeta Phi Beta Sorority. If that weren’t enough, Hurston transferred to Barnard College to pursue a Bachelors of Arts in anthropology. There, she was the sole African American student, but that didn’t stop her from shining. While at Barnard, she conducted ethnographic research with Franz Boas, who is often referred to as the “Father of American Anthropology,” according to Columbia University. A bachelors’ degree wasn’t the end of Hurston’s pursuit of education. She then spent two years studying anthropology at Columbia University and was awarded the Guggenheim Foundation fellowship, which allowed her to travel to Jamaica and Haiti for anthropological research. Hurston also traveled to Honduras and decided to live there from 1947 to 1948. Festival Time, Anybody: How many women can add a festival named and celebrated in their honor to their accomplishments? 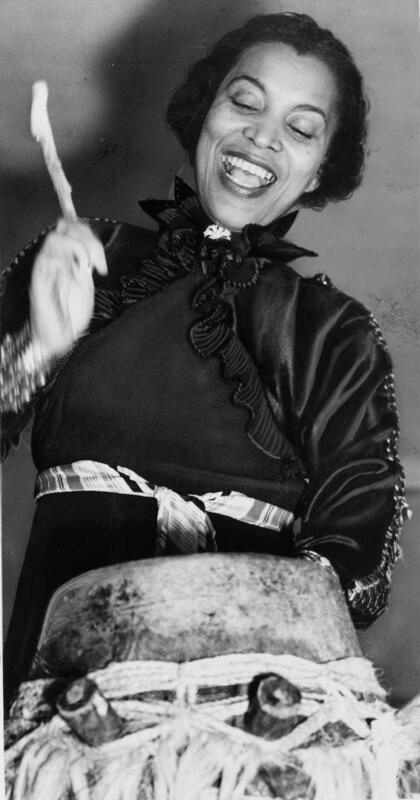 Zora Neale Hurston can. According to ZoraNealeHurstonFestival.com, the festival, which features prominent musical figures and writers coming together to celebrate her work and life, is held each January in Eatonville. Still not convinced? Ask Alice Walker. She went on a quest to discover Zora Neale Hurston’s unmarked grave and reintroduce her genius to the world (another article for another time). If a revered author cares enough about a forgotten one to resurrect her, we should all take notice. Her legacy lives in on in all of our favorite writers including Walker, Terry McMillian, Eric Jerome Dickey and others, so she is never too far from our hearts and minds. Congratulations Zora! You are now a LFC shero.